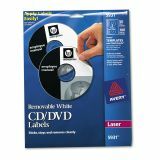 Avery Laser CD Labels, Matte White, 50/Pack - Matte White Removable CD Labels are designed to stick, stay put and come off cleanly. 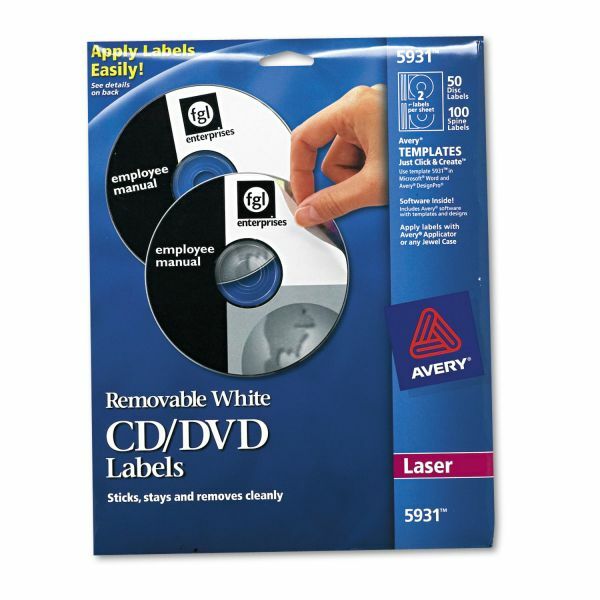 They're ideal for cataloging your music collection or organizing the CD-ROMs in your office. Create custom labels using Avery Design and Print Online and then print the results from your laser printer. Use the Avery Applicator (not included) to apply the labels with expert precision, and you're done. Removable labels make it easy to update titles on CD-RW discs.